Serving Huntington, Long Island and surrounding communities. Huntington Hearing was founded in 1966 by Dr. Harvey J. Gardner. Under Dr. Gardner's direction, Huntington Hearing grew to be one of the most respected and trusted audiology practices on Long Island, New York. Our practice has earned numerous awards throughout the years. We have been featured in newspaper articles, invited to lecture to local physicians, and in 2000, were named Business of the Year by the Huntington Chamber of Commerce. Our current audiologists, Bari, Seth, and Jan, along with office manager Lori, have worked together as an extended family for the past 20 years. We are proud to say that our patients receive consistent and impeccable care from familiar faces who have earned their trust. Whether you are looking for a new hearing home or are already a patient with us, it is quick and easy to request an appointment with our website. Contact us today! Successful hearing aid use requires long-term, professional follow up care. Hearing aid practices come and go. Huntington Hearing is celebrating their 50th anniversary. All of their Doctors of audiology have at least 20 years of clinical experience. Huntington Hearing offers appointments 6 days a week and has a daily walk-in clinic from 12:00 - 12:30 for hearing aid cleaning and minor repairs. Several prominent doctors entrust their patients to Huntington Hearing, including the Chief of Otolaryngology at Huntington Hospital. Huntington Hearing offers free demonstrations and no risk trials with the most advanced digital hearing aids at competitive prices. Unlike many other practices, our Doctors of Audiology are salaried and never work on commission. Our practice was named Business of the Year in 2000 by the Huntington Chamber of Commerce. We are members of AAA, ASHA, BBB and part of the allied health professional staff at Huntington Hospital. We are easy to get to and have ample free parking around our building and in the municipal lot across our street. Seth graduated Phi Beta Kappa from Stony Brook University in 1992 and received his Masters Degree with distinction in Audiology From Hofstra University in 1996. While at Hofstra, Seth was honored with the Joan Fox Memorial Award presented by the Long Island Speech-Language-Hearing Association. 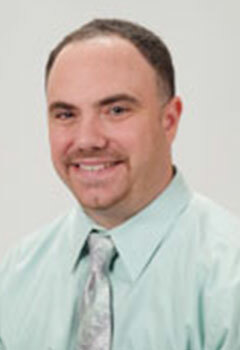 Seth continued to further his education and received his Doctorate in audiology in August, 2013. He joined Huntington Hearing in 1997 and became Co-Director in 2009. In addition to his role as a hearing aid specialist, Seth also coordinates our free hearing screening program for local libraries and community groups. He is an allied health professional for Huntington Hospital where he is often called upon to perform diagnostic hearing evaluations. Bari earned her Bachelors degree at Florida State University in 1990 and completed her Masters Degree with distinction from Hofstra University in 1993. She received her Doctorate in audiology in 2013. 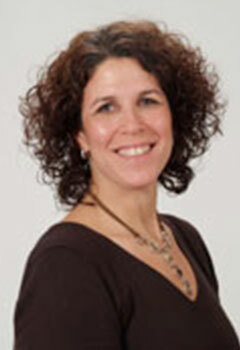 Bari joined Huntington Hearing in 1993 and became Co-Director in 2009. She is a member of the American Academy of Audiology and the American Speech-Language-Hearing Association. In addition to her role as co-director and audiologist, Bari often provides lectures and hearing information seminars to audiology students, assistive living residences, and the local community. She was featured in a 2011 issue of Newsday and was recognized by Huntington Hospital for coordinating the donation of several assistive listening devices to be used by patients in need. Jan completed her undergraduate degree at the University of Buffalo in 1991 and earned her Masters degree in Audiology from Hofstra University in 1994. Jan received her Doctoral degree in August, 2013. She has been part of the Huntington Hearing team since 1994 and is a member of the American Speech-Language-Hearing Association. Jan is actively involved in our community outreach program providing no-charge hearing screenings at Huntington's Dolan Center and local libraries. Lori earned her Bachelors degree in 1977 and worked for several different medical offices before joining the Huntington Hearing family in 1996. She was promoted to office manager in 1998. 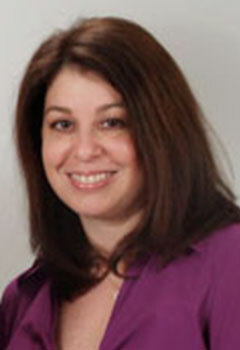 Lori coordinates scheduling, billing and insurance matters, reception, and patient care.